(NaturalNews) As America's opioid epidemic continues to grow and spread, sadly the number of infants being born addicted to drugs has also continued to skyrocket. A study that was published in the September edition of the Journal of the American Medical Association Pediatrics sought to delve deeper into the lesser-known consequences of opioid addiction – those felt by the infants who are born to addicts. When an infant is born addicted to a drug, the child experiences what doctors have dubbed, "neonatal abstinence syndrome," or NAS for short. The babies who are affected by NAS experience withdrawal symptoms due to being exposed to addictive substances while they were still in the womb. Some of the symptoms babies born with this horrible syndrome are forced to endure include tremors, seizures, excessive crying, poor feeding, fever, sleep problems, blotchy skin coloring and rapid breathing. Babies born to opioid addicted mothers can also present with other adverse health effects, such as low birth weight, premature birth, birth defects and small head circumference. During the five-year study period, researchers found that the number of infants being born with NAS more than doubled. Can you believe that? Live Science reports that when the research began in 2008, the syndrome occurred in 2.8 births per 1000. By the study's end in 2013, that number escalated to a shocking 7.3 births per 1000. The National Institute on Drug Abuse reports that in 2012, over 20,000 babies were born with NAS – five times what it was in the year 2000. The agency estimates that approximately every 25 minutes, a baby is born suffering with the symptoms of opioid withdrawal. Babies born with NAS have to stay in the hospital longer and cost significantly more to care for than their healthily born counterparts. It is truly a sad thing that so many babies are born into this world suffering from an addiction that they did not consent to. This new study, which was led by researchers from the Institute for Pharmaceutical Outcomes and Policy of the Department of Pharmacy Practice and Sciences, located at the University of Kentucky College of Pharmacy, did not just solely focus on the total population of the United States. Because Kentucky is a state that is heavily burdened by the opioid epidemic, the researchers also did an in-depth analysis of their state and compared it to the rest of the population. What the scientists found was quite alarming. In 2008, when the NAS rate was only 2.8 per 1000 for the rest of the country, Kentucky was already seeing an alarming 5 cases per 1000 births. In 2014, that number quadrupled. At the end of the five year period, the state of Kentucky was seeing 21.2 NAS cases per 1000 births. That means 2 percent of all babies born in the state of Kentucky are born suffering from opioid withdrawal. The researchers stated that these findings illustrated the disparate effect drug abuse has in different states. Kentucky, of course, is not alone in this disparity. The problem of opioid addiction is national one, but it affects every state differently. 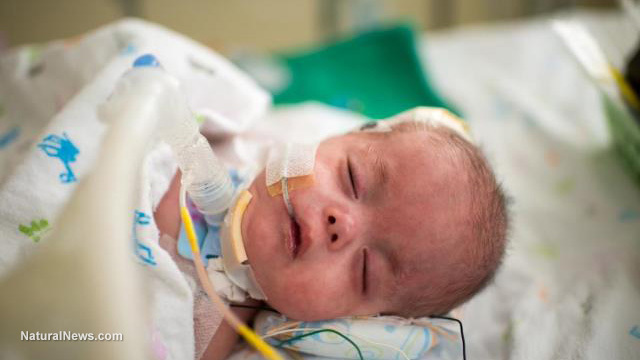 In an attempt to help combat the growing number of infants born with NAS, the United States government passed a "law" entitled the Protecting Our Infants Act of 2015. Of course, this law merely dictates that the Department of Health and Human Services must study neonatal abstinence syndrome and develop recommendations for preventing and treating the condition. As the researchers noted, this does very little in the short term to actually assist with what is a rapidly growing epidemic. Medical marijuana is an up-and-coming treatment for opioid addiction. It has a great track record so far, if only the federal government would give us our right to use it. This natural medicine could help end opioid addiction entirely, which would in turn reduce the instances of NAS.